Three different scorers lead Tigers to victory under the lights. 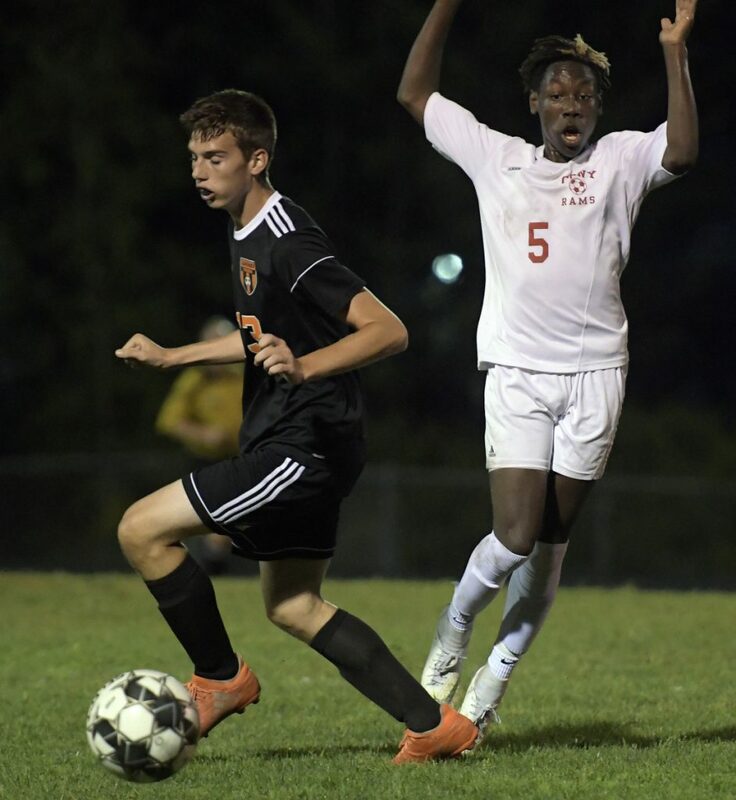 GARDINER — The Gardiner boys soccer team carried a winning record into Tuesday night’s game with Cony, as well as, in coach Nic Wallace’s mind, a glaring flaw. The Tigers scratched one question mark off the list Tuesday. 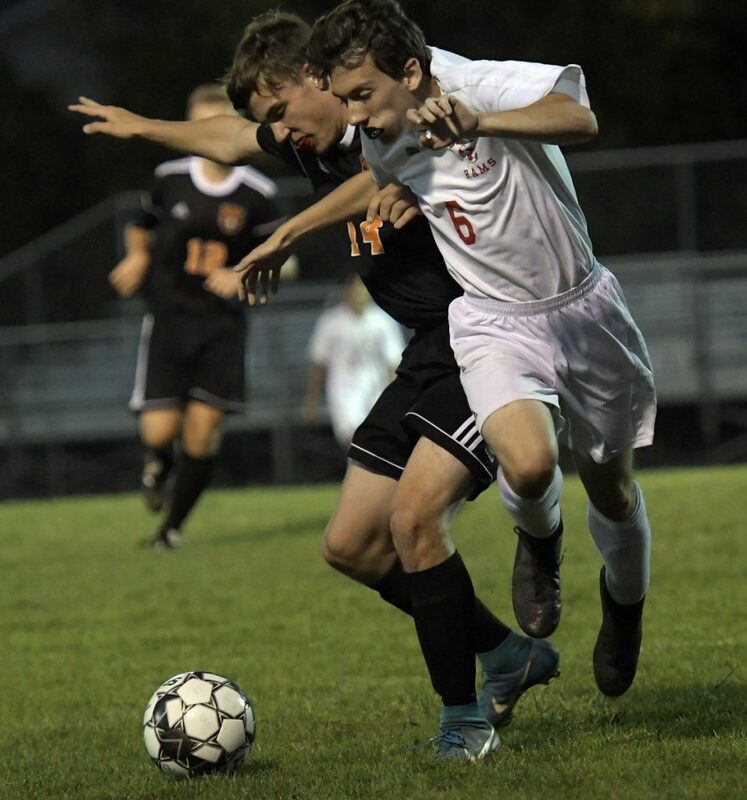 Jackson Tweedy scored three minutes into the game, Casey Bourque had an assist on one goal and a helping hand on two others, and Gardiner defeated Cony, 3-1, at Hoch Field. Gardiner also got second-half goals from Cam Kokernak and Jake Tobias en route to improving to 4-2-1. Cony (1-5-0) had chances to strike back, but failed to convert on its best looks. 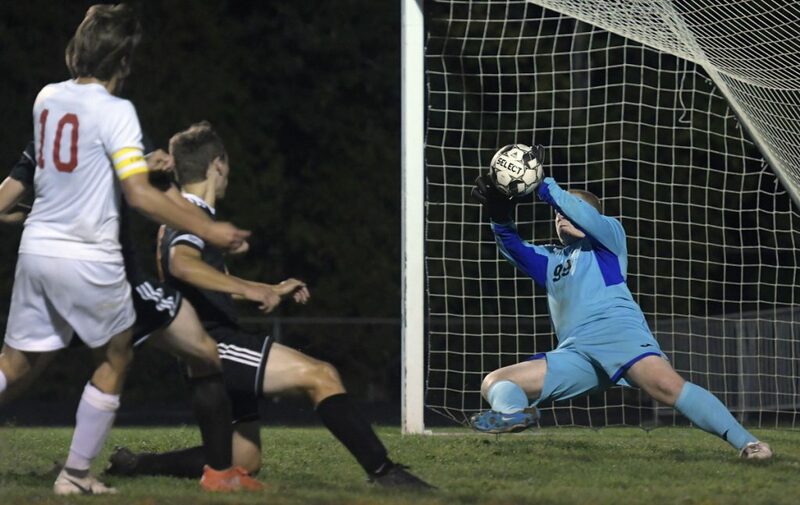 Gardiner got going quickly, as Bourque sent a ball down toward the right side near the goal line and Tweedy was able to tap it by Cony keeper Joao Benoini (five saves) for the 1-0 lead. Gardiner started fast in the second half as well, with Bourque having a point-blank shot saved by Benoini and Tweedy having a follow-up shot rattle off the post in the 41st minute. The Tigers got that sequence to work minutes late, however, with Bourque firing a shot that Benoini stopped and Kokernak redirecting the save home in the 52nd minute. 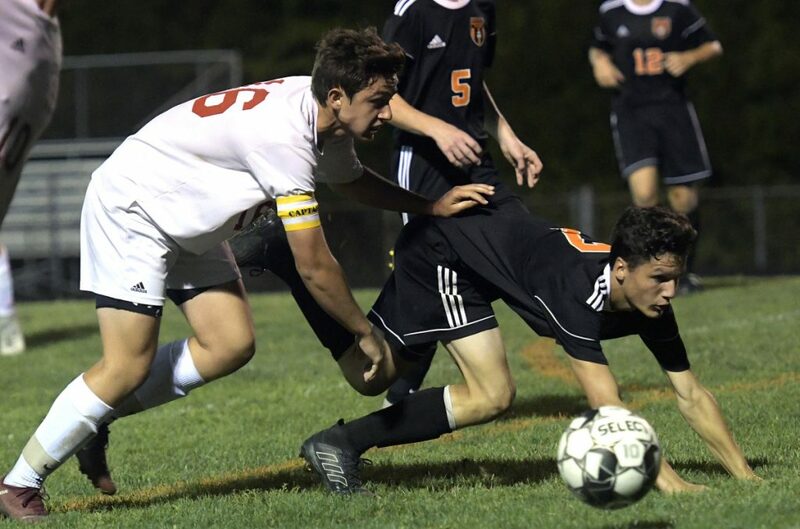 Cony appeared to jump back into the game in the 75th minute when Miqueas Biasuz was brought down in the box by Keeling Dorogi, resulting in a penalty kick that Biasuz calmly netted to make it 2-1. Any swing in momentum was dashed within the minute, however, as Bourque again fired a shot that Benoini again saved, and this time Tobias was on hand to follow up with a goal for a 3-1 lead. So was the Gardiner defense. 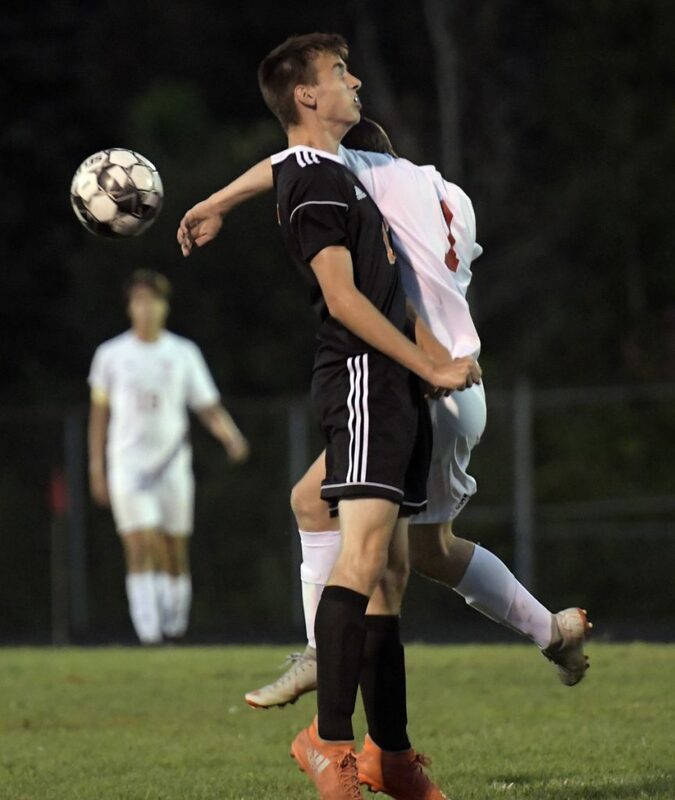 Cony had chances, the best of which came in the 19th minute when Alex Cousins outraced defenders to the ball and fired a shot from up close that Timmy Doyle (four saves) was able to deflect away, but throughout the game a unit led by Dorogi, Tucker Boudreau and Logan Keene kept Cony midfielders and forwards frustrated on their attempts to get the ball through.